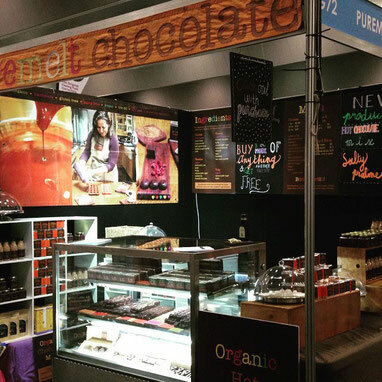 When Sarah Wheeler first created her own delicious , raw, organic, cane sugar free, gluten free, dairy free, soy free and low GI chocolate it was because a professor of nutritional medicine told her to eat 50g of 85% dark cacao daily as a medicine to assist in curing a number of health issues that were tiring Sarah out as a mature mum. Sarah tried very hard to follow the doctor’s orders but try as she might, she just could not find a chocolate good enough to eat every single day. A friend taught her the basics of chocolate making and that was enough to motivate and inspire Sarah to get very creative. She went to work in her own kitchen and painstakingly perfected the delicate alchemy of raw chocolate making. She discovered the perfect blend of the finest 100% certified organic raw cacao butter, raw cacao powder and freshly scraped vanilla pods, sweetened with a touch of dark agave. 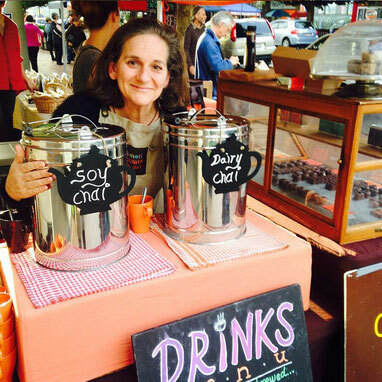 She also discovered a passion for creating daring and exciting flavours using a combination of ingredients (local whenever possible) The davidson plum and ginger for example – all of them organic, ethically sourced and always with the ethos – no cane sugar and gluten free! 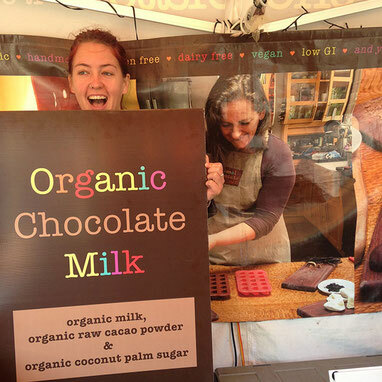 Sarah began making the ‘best chocolate possible’ from the ‘best ingredients possible’ as a medicine for herself. She spared no expense to find the cure she was hungry for. Her formula is perfect because cost was never a consideration – the best therapeutic grade raw, organic, nutrition packed, delicious chocolate was the goal and anyone who has eaten Sarah’s chocolates will tell you – she scored! This is the chocolate Sarah shared with her dear friends. This is the chocolate they all loved and asked for more of. This is the chocolate she taught one of Europe’s professional chocolatiers to make (prior to this he was melting down couverture chocolate buttons like most everyone else) and this is the chocolate she is hand-making in small batches and offering to you. Nothing less than the absolute best! She will not buy cheaper ingredients to make more money. She won’t skimp on the fresh raw organic vanilla pods she lovingly scrapes out by hand. 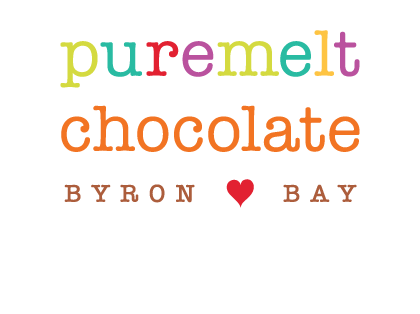 “Chocolate without compromise” has become Sarah’s passion and led her to create ‘Puremelt Chocolate Byron Bay’. 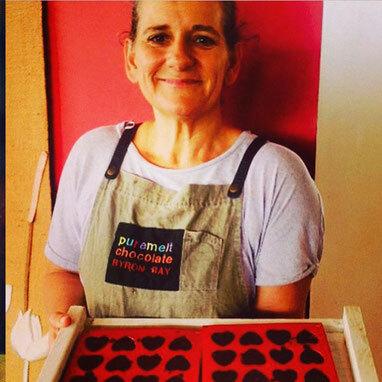 She spent years travelling to farmers markets, gourmet food shows and health festivals up and down the East Coast of Australia, putting products in the mouths of tens of thousands of willing ‘tasters’ - doing the best possible real market research before recently opening her all organic Puremelt Chocolate Lounge. 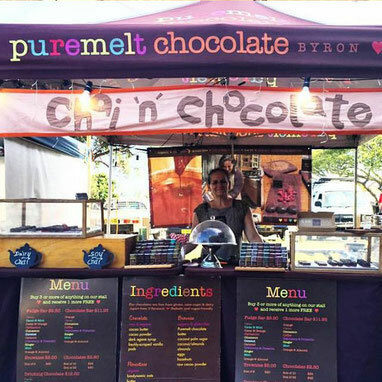 "It's a dream come true" says mother of three and puremelt founder Sarah Wheeler.